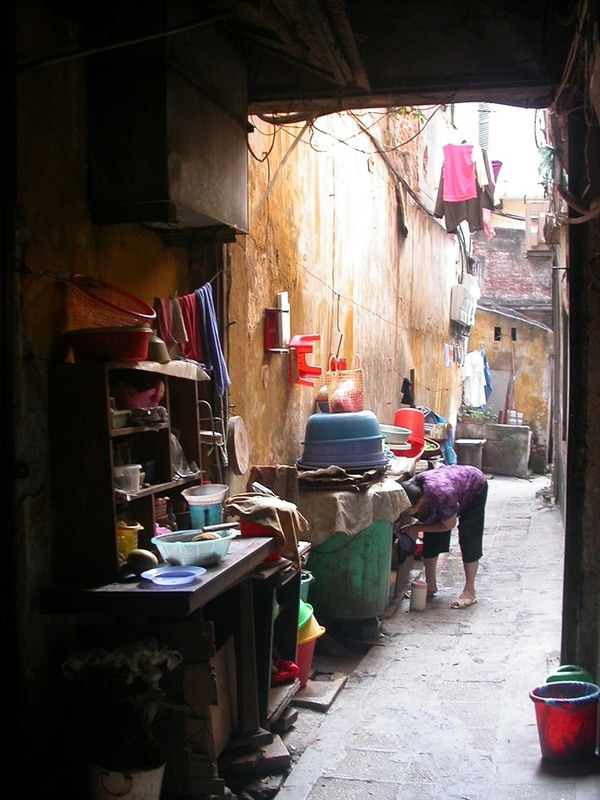 HÀ NỘI – Living in a small alley with no name on Hàng Chiếu Street, one of Hà Nội’s old streets, Nguyễn Thị Nga (not her real name) and 11 other people in her family share a nine-square-metre room and an attic. Nga, 78, must use every inch of the room so that her family can sleep, and her house does not have a toilet. Nga would be shocked if someone wanted to buy her house. “If anybody wants to buy houses in the area, they have to accept that the house does not have a toilet, family record book or house number,” she said. More than 10 other households also live in Nga’s small unnamed alley. All of the houses are small, no more than 10sq.m each. Several houses are several square metres only and were built as add-on structures on the wall of another building. Lan, a local resident, said that she could sell her house for VNĐ5 million (US$220) per square metre, but if anyone bought it, they could not make a family record book because the house did not have regulated areas. Also, the house has no space for vehicles and no toilet. Lan said that to qualify for a family record book, the house must measure at least 15squ.m per person in the family. 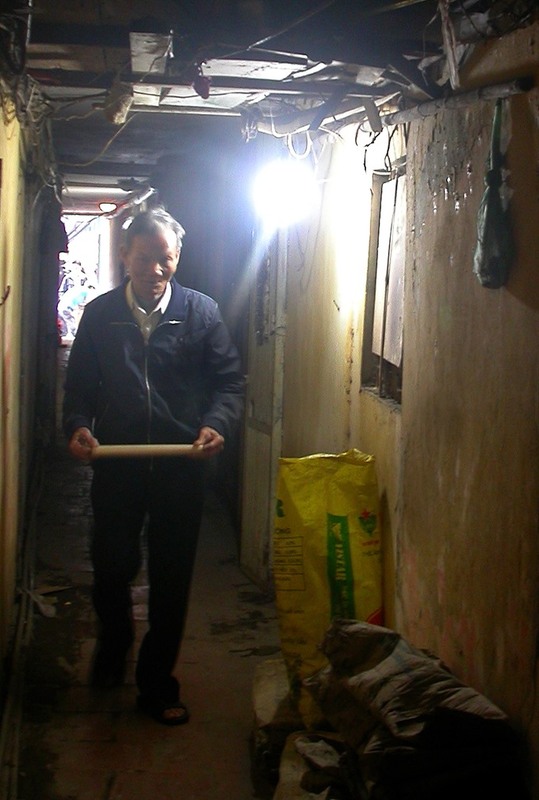 “In this alley, houses have 15sq.m for 10 people, not 15sq.m for one person,” said Lan. Agreeing with Lan, Hoàng Văn Xuân, who lives with his son in a five-square-metre house in Alley No 44 on Hàng Buồm Street, said that his house was in the old quarter, but no one wanted to buy it even for a few million đồng (VNĐ1 million =$40) per square metre. The old quarter in Hà Nội has more than 4,000 houses with house numbers, according to the Hà Nội Old Quarter Management Board. Each house has an average area of 92sq.m and is shared by three or four households, so the living area is 0.5-1.8squ.m per person. As many as 63 per cent of the houses are downgraded, 12 per cent of them are in dangerous conditions and five per cent of them are polluted. Population density here is more than 84,000 people per kilometre, one of the most densely populated areas in the world, according to the management board. 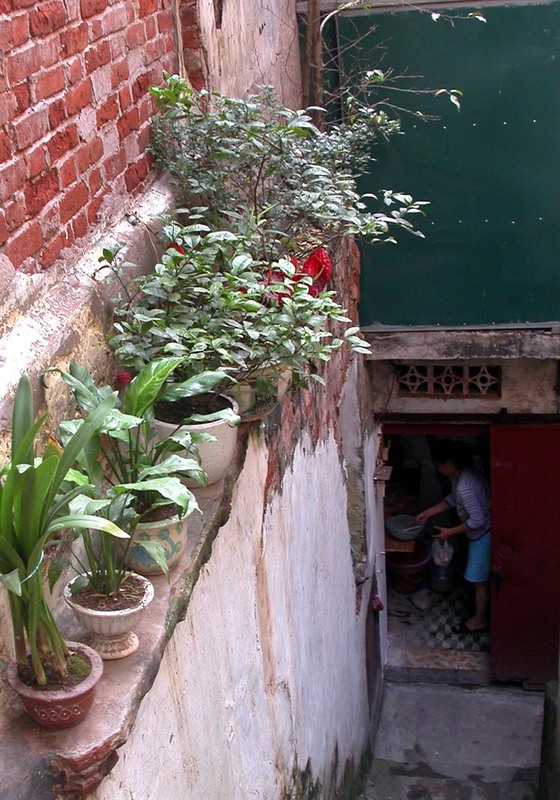 Hà Nội’s old quarter has nearly 1,000 houses built more than 100 years ago thus they are seriously downgraded. As many as 500 are low-roofed, and are super-cheap houses which few wants to buy. Due to a lack of space, all resident’s motorbikes must be put in parking lots. Alleys on old streets are too small so only one person can pass at a time. Meanwhile, fronted-street houses in the old quarter, especially the area near Hoàn Kiếm (Sword) Lake, have very high prices. On streets in Hà Nội including Hàng Ngang, Hàng Đào, Đinh Tiên Hoàng and Lý Thái Tổ, prices for houses and land are about VNĐ1.2 billion ($53,300) per square metre. And fronted-street houses on other streets in the area are worth VNĐ500-800 million ($22,200-35,500) per square metre. For example, an 18-square-metre house on Hàng Bông Street, about 300m from Hoàn Kiếm Lake, is for sale at VNĐ12 billion ($533,000). Đỗ Trung Hà, an expert on real estate in Hà Nội, told the Tiền Phong (Vanguard) newspaper that demand for houses in the old quarter area was not as “hot” as several years ago. Many people want to rent instead of buy.